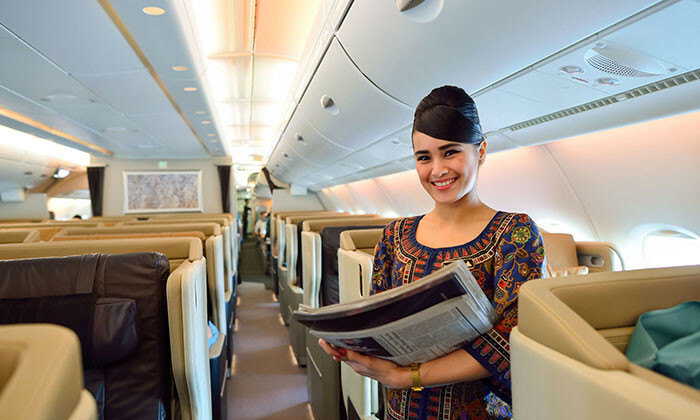 Following its first profit loss in five years, headcount reduction is likely at Singapore Airlines (SIA). This is according to its CEO Goh Choon Phong (pictured), who shared the news on Tuesday during an annual meeting of the International Air Transport Association in Cancun, Mexico. When contacted by Marketing on how this impacts marketing and sales teams, an SIA spokesperson explained that as part of the review, some of the jobs may become irrelevant or less relevant. As such, staff would have to pick up new skills. However, the spokesperson did not comment directly on marketing roles. “We would look at how best to support training and redeployment as needed. However, the review is still underway, so it is too early to speculate as to where there may be changes,” the SIA spokesperson said. When asked if marketing budgets would be impacted by the a cuts, the spokesperson explained that it is too soon to speculate as the next phase of the company’s transformation is still in its early stages. Currently, the airline works with TBWA and ZenithOptimedia for creative and media duties respectively. SIA Group recently reported an operating profit of SG$623 million in the 2016-17 financial year, SG$58 million or 8.5% lower compared to the same period last year. The organisation also employed an average of 24,350 workers at the end of March 2016. This included affiliates and units. According to Goh, a Transformation Office with dedicated staff has been created. This follows SIA’s bid to comprehensive review what the organisation is doing and better position itself for growth. “It is about revenue and how we can actually generate more revenue for the Group. It is about how we can improve our processes to make it a lot more effective, a lot more efficient. It is about how we can rebase our cost structure so that it can be a lot more competitive going forward,” Goh explained. Its new Transformation Office will be headed by a VP for business transformation with six full-time staff, within that organisation. It would also report to Goh with direct guidance from SIA’s board which has endorsed the move. “We have taken active steps to communicate that to all the staff. So you can expect that there will be a lot more activities in this area going forward. And that would include organisational restructuring, of course,” Goh added. Just last week, Singapore Airlines launched a short film to celebrate its 70th anniversary. Titled “The Magic Pen”, the film was posted on its social media channels and focuses on the airline’s commitment to its customers. According to the airline, it aims to show “how it has always and will continue to bring people closer to the ones they love”. The campaign quickly went viral, garnering over six million views on Facebook.